Ian Dunkerley informed us the Club had raised almost £18000 in the past year for local and international charities and made reference to the major fund raising events we'd carried out during the past year. Ian inaugurated Paul Robbins with the Presidential chain of office and wished him all success in the coming year. On behalf of all of the Club members, Paul thanked Ian for his leadership during his term of office - a sentiment that all Club members endorsed. Having assuemed the Presidency of the Club, Paul Robbins then coferred the 1st Vice President's (President Elect) medal upon David Lister and installed John Utting as Club Secretary. 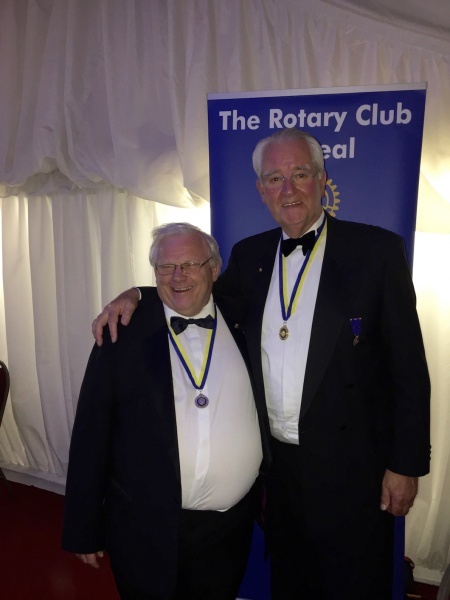 Immediately prior to handing over the Presidency, Ian Dunkerley presented a Paul Harris Fellow award ro a very surpised John Utting, who said the award was totally unexpected, but very much appreciated, he thanked Ian and Club members for the recognition. President Paul Robbins then made another presentation - a Paul Harris Fellow award to Ian equally surprised Ian Dunkerley. 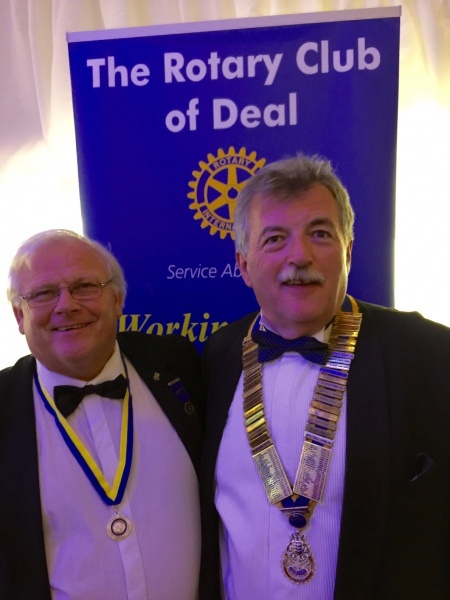 Paul made reference to Ian's hard work and effort both as President for almost two years and for his long service to Rotary and the local community - Ian was warmly congratulated by all Club members present - well deserved recognition indeed !